Do you have a link to contribute? Please use this online form to submit your suggestions. The Spirit of Bangladesh: The Spirit of Bangladesh: featuring Music, Showbiz, Digital Art, News, and more. Virtual Bangladesh: A virtual tour of Bangladesh; featuring culture, economics, history, religion and more. Ministry of Finance: Information and links to national budget, economic survey, previous year's budget, and other helpful links. Securities and Exchange Commission: links to press releases, investor's information, stock exchanges, prospectus, annual reports, quarterly review, companies, and important links. Bangladesh Nationalist Party: Site of the Bangladesh National Party containing information on elections and donations. Jatiya Party: Site of the Jatiya Party with information on the Jatiya Party's constitution and executive branch. Bangladesh Rural Advance Commission: A large and multifaceted development organization with the twin objectives of Alleviation of Poverty and Empowerment of the Poor. 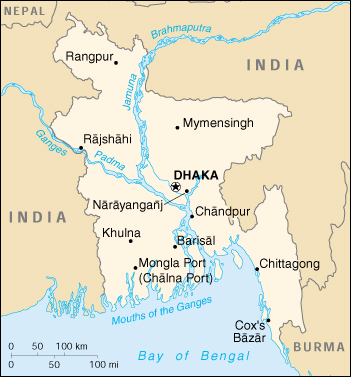 The People's Republic of Bangladesh: A site offering information ranging from business and finance to telecommunications and the major tourist attractions of Bangladesh. www.Banglaislam.com: Islamic site in the Bengali language. Buddhanet.net: Buddhist information and educational network- offering meditations, Buddhist studies, audio and e-book downloads, and more.